Highlands Spring - Jackson Wild: Nature. Media. Impact. Spring is the most unpredictable of seasons in the Highlands. It’s all about timing. Red squirrels, osprey, roe deer and dippers make the most of this fleeting opportunity to raise a family. In the Caledonian pine forest, capercaillie perform a striking display to compete for breeding rights while, on the forest floor, a timberman beetle searches for a mate with antennae four times the length of its body. In the Moray Firth, a pod of bottlenose dolphins gathers to feed on the spring run of salmon; it’s a bounty but only if they can swallow it. Narrated by Ewan McGregor. 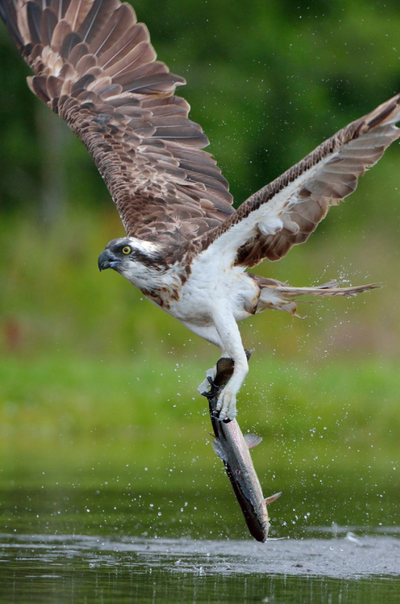 Watch the rest of the BBC's Highlands: Scotland's Wild Heart series at bbc.org. We’d wanted to make a series about the Highlands for years, but it took our small production company Maramedia about four years to develop the local expertise and field people to do it well enough to match our ambitions. We wanted to make the series authentic. We used no stunt animals, spent years working out the best way to film each story and put an exceptional level of work into the music and sound – more than I’ve ever spent on any project before. Our team was embedded in the wild habitats we filmed in for more than two years which meant we were well equipped to deal with the constant change. Scotland’s climate is one of the most changeable in the world. It can be warm in Winter, freezing cold and snowing in late Spring and pouring with rain at any time! 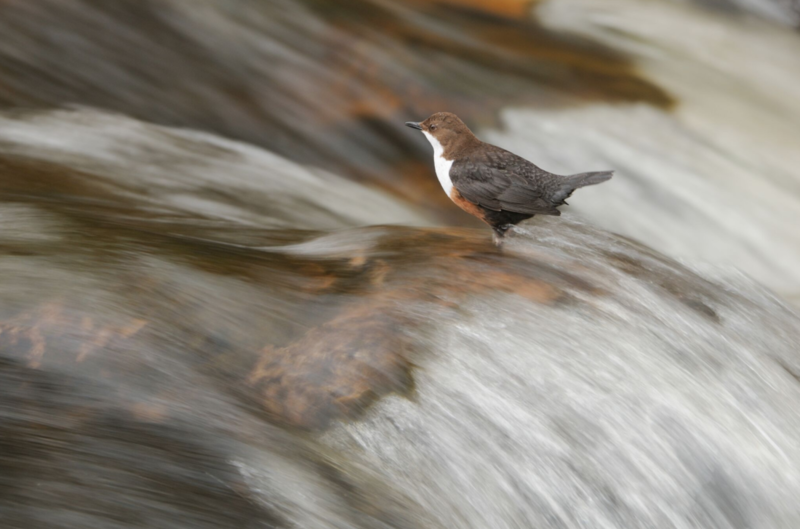 We were keen to capture a short sequence of dippers at the nest on a gently meandering Highland river, but during our schedule in May, we had some of the heaviest and most intense rain this part of the Highlands had seen in years. But we just had to stick it out as the ways that the wild mammals and birds deal with these extremes gave us the best stories in the film. We deployed our camera team on the dipper nest in rotations as we never knew when the chicks would fledge and as we waited, it rained more and more and more and the river just kept on rising. In the end, what was supposed to be a 3-day shoot turned into a 2-week epic with 5 chicks finally emerging to face a river which had turned into a real torrent, more like Niagara than a gentle Highland stream! I’ve been playing around with story for years and have always loved the idea that you can break a seasonal wildlife tale into 5 acts rather like a Shakespeare play and concentrate on the different bits to bring out your innate comedy, tragedy, heroes, villains and countless other themes. We didn’t have to work too hard in the Spring show to achieve a satisfying result. The other thing that helped pull everything together was the way we worked with music. Our composers – Donald Shaw and Simon Ashdown worked with us from very early in the process composing themes and beds after just looking at rushes. They then worked directly on textures for the film with the offline editors rather generously amending and changing each other’s sections – sometimes a dark theme would turn into something light and airy and at other times they found ways of injecting light into the musical darkness. It was a very satisfying process and then close to the end all the music was re-recorded with as many live players as possible. We ended up with something which was full of melody as well as complimenting the pictures beautifully. Well I’d like people to know that we did this project on limited resources, but like our previous productions it got great ratings and has had some decent awards nominations. People like the two composers and Ewan McGregor got behind it for reasons other than commercial ones. But the common denominator is the authenticity which springs from an intimate relationship with the people on the ground and the wild animals themselves. That means we can compete on an international stage despite our entire budget being significantly less than the shooting budget for a single episode of something like Planet Earth 2 or the Hunt! Such passion and dedication from so many people went into making this film. But Wildlife filmmaking is just like childbirth – once you’ve produced your programme you forget about all the pain and the hard work, love the outcome and want to do it all over again!! We are currently filming an exciting new documentary on the amazing wildlife of the Shetland Islands as well as Wild Way of the Vikings which mixes stunning wildlife spectacle with the gripping story of the Vikings relationship with nature in an exciting new format. We are also thrilled to be making an inspiring new series for CBeebies BBC in UK – ‘Gudrun - The Viking princess’ which encourages children to explore and be inspired by the natural world through play.